GSNTV Code Word Sweepstakes: Game Show Network, one of the amazing American Satellite Television Channel has come up with Game Show Network Daily Draw Contest from which you could win upto $500 Cash every weeknight and Grand Prize of $2500 Cash. How to obtain GSN TV Daily Code Word? Each Day, One New GSN Code Word will be aired every half hour (22 Times) between 10:00 a.m. ET and 12:00 p.m ET, 1:00 p.m. ET and 4:00 p.m. ET, and 8:00 p.m. ET and 1:59 a.m. ET daily from February 22, 2019 to May 17, 2019 which you need to participate in GSNTV Daily Draw Sweepstakes. Don’t worry, You don’t need to Watch Game Show Network as we will update this Post with New GSNTV Code Word Daily. Just Bookmark this Post and Come Back daily to get Latest Game Show Network Word of the Day. 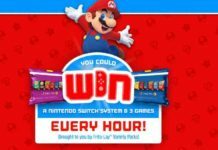 How to Enter GSN TV Daily Draw Sweepstakes? Watch Game Show Network daily from 8 pm to 2 am every weeknight to get New GSNTV Codeword. Enter the GSNTV Sweepstakes Code word you got from watching Game Show Network. Read Sweepstakes Official Rules to get more details of Game Show Network Daily Draw Giveaway. These are GSN Daily Draw Code word which you need to win upto $500 cash daily. I will update this list daily so don’t forget to bookmark this Post. Come back tomorrow again for another new Gsntv Daily Draw code word. In this GSNTV Sweepstakes, Daily One Winner will be chosen randomly and get a Prize of $500 or $1000 Cash. Also, There is one Grand Prize of $10,000 which will be given to One Lucky Winner at the end of www.gsntv.com/sweepstakes/dailydraw Sweepstakes. 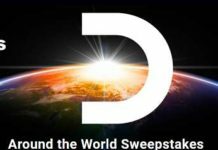 There are some People / Companies who make us happy by giving away various prizes through these Sweepstakes. Similarly, GSNTV Sweepstakes is sponsored by Game Show Network, LLC. 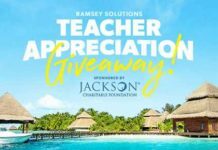 Who are the GSN Daily Draw Sweepstakes Winners? To obtain a copy of Winner’s List, send a self-addressed, stamped envelope (with proper postage affixed) to: Game Show Network Daily Draw Sweepstakes, “Rules/Winners’ Names” (specify which), Game Show Network LLC 2150 Colorado Avenue, Suite 100, Santa Monica, California 90404 Attn: Marketing. All such requests must be received within six (6) weeks after the end of the Promotion Period. 2 How to obtain GSN TV Daily Code Word? 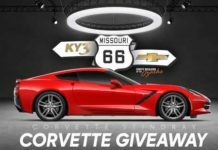 3 How to Enter GSN TV Daily Draw Sweepstakes? 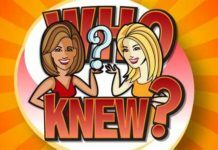 8 Who are the GSN Daily Draw Sweepstakes Winners? What is June 22, code word? what is the code word for july 25? Code for July 25, 2018 will be announced today. What was the code word for last night, the 18th! Was it VACATION? What is the code word for August 29? May i know code word for 31 aug, 2018? Code word for September 13? I have enter daily sweepstacks, Can I win on 28th sept, I want to spend for something and spend at home. Who is winner on Nov 27 today is 28. GSNTV.COM daily draw word I’m trying to enter the code word for 1-31-2019 it is not responding to let me enter the code. ( gloves) enter it for me, I tried last night the station is not responding, Thank You1. Anyone have the March 2019 code Word?